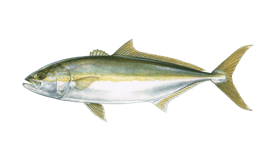 The spearfishing California offers will give spearos two very distinct opportunities. The southern waters are excellent for spearos of all skill levels, with high levels of visibility and a variety of species to target. Northern California will test your skills. The waters can be more difficult, with colder temperatures, lower visibility, and harder to reach entrance points – perfect for the adventurous spearo! 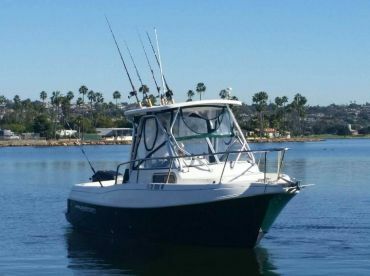 Saltwater species that you can target include Calico Bass, California Halibut, Pacific Halibut, Bluefin Tuna, Striped Bass, White Seabass, Mahi Mahi, Yellowtail, Pacific Barracuda, Lingcod, and many more. Southern California is excellent for spearfishing, with better visibility and less chance of coming face-to-face with a Great White Shark. 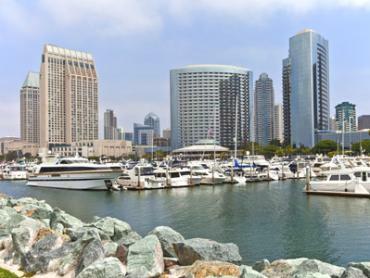 San Diego, in particular, offers world-class spearfishing, but other cities along the coast are good for spearfishing too. Head to the kelp forests for the best spearfishing opportunities. Mission Bay Jetty is great to head out from. 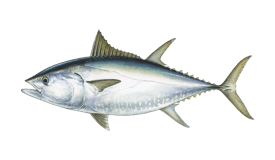 Experienced anglers can head to the outer banks for big pelagic spearfishing, targeting the likes of Yellowfin, Skipjack, Bluefin, and Albacore Tuna, as well as Striped Marlin! Head to top spots such as San Pedro, Palos Verdes, and the breakwall in Long Beach. The visibility will range between 5–20 inches on a great day. In the fall, head out to the islands of San Clemente and Catalina. 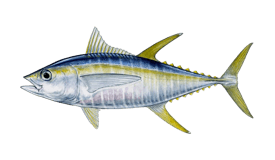 Fishing the islands offers you the chance of shooting Yellowtail, Sheephead, White Seabass, and Tuna. There are some parts along the Colorado River where spearfishing is allowed. Between May to September, the freshwater fish you’ll be targeting here include Western Sucker, Sacramento Blackfish, Carp, Tilapia, Striped Bass, Hardhead, Sacramento Pikeminnow, and Lamprey. Please note that you cannot spearfish in areas of the river where there are Salmon. If there are Salmon in the area you’re fishing, that part of the river cannot be spearfished. The waters here offer good visibility and are usually quite tame. You’ll want a thick wetsuit, somewhere between 5–7 millimeters. From here, you can easily get to Carmel-by-the-Sea, which offers the same fishing opportunities. For the more adventurous, Salt Point is a good place to go spearfishing, located about 90 miles north of San Francisco. Just be prepared to hike down to the best places to enter the Pacific Ocean. 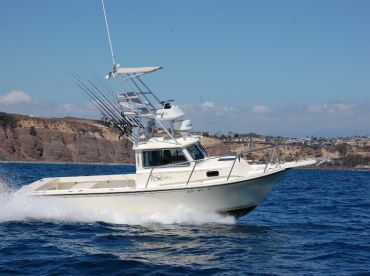 Ocean Cove is a short distance from Salt Point and is also good to spearfish from. 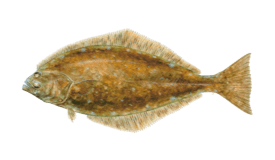 You’ll be spearing Lingcod, Cabezon, Kelp Greenling, and more. Check the rules before you head out. California is one of the most regulated states, and rules change each year. Ignorance is not an excuse! Match the thickness of your wetsuit to the water temperature. In Northern California, wetsuits should be 7 mm thick with a hood. If starting out, a pole spear is best to begin – fewer parts mean less can go wrong! This will also help increase your accuracy and skill in spearfishing. Shorter spearguns are best when diving the kelp forests – if you do get tangled up, have at least one sharp knife on you to help you escape. The waters are warmest during late summer and early fall, so are usually busier then. Choose which species you wish to target and head over during its season. It’s time to go spearfishing in California. You’ll have a great time coming face-to-gills with some amazing marine life. This is an adventure you won’t forget!